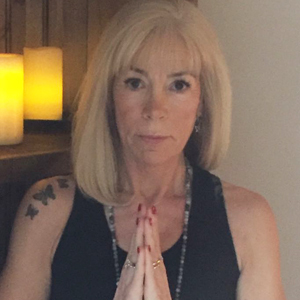 Yvette is a highly experienced yoga teacher, holistic therapist and fitness tutor. It’s going to sound like a cliché, but yoga really is like a box chocolates. There are so many different elements you can open up, take out what you need and use at any particular moment. It’s a true form of practice that allows you to combine mind, body, spirit and breath. Today is also special because it’s the Summer Solstice (the first day of summer in the North Hemisphere) and it’s traditional to perform 108 ‘Sun Salutations’. Why 108? Well, it’s the number of beads on a Tibetan mala; and Lord Shiva, the Hindu God, has 108 names – just to name a few. Now we don’t want to distract you too much from from your Salutations, so we’re breaking from tradition and instead of 108 books, here are Yvette’s top five. Famed yoga adept and Indian religious teacher, Sri Swami Satchidananda translated and provided commentary on 196 sutras. These threads of thought are 4000 years old and they cover everything from ethics, meditation, physical postures, and directions for dealing with every day life situations. The 2012 new edition of this book features the original sutras in Sanskirt, accompanied by Satchidananda’s explanations and practical tips. Often to referred to as ‘timeless’, those that have read it finding themselves coming back again and again. This seminal text has already been featured in our Top 5 Books for Yoga Teachers and rightly so. It’s the most well-known of all the Indian scriptures and a vital resource for all those who teach and practice yoga. T.K.V. Desikachar’s book is often-cited as the first to outline sequences for developing a complete yoga practice. Desikachar’s father, Sri Tirumalai Krishnamacharya, lived to be over 100 years old and is still considered one of the great yogis of the modern era. Desikachar based his methods on his father’s extensive teachings and that’s fully evident within this book. Also addressed in The Heart of Yoga are elements pertaining to poses, concious breathing, meditation and philosophy. Recognised as one of the most comprehensive yoga manuals to date, Asana… was first published in 1969 and has since been reprinted 17 times and translated into numerous languages. Providing clear illustrations, information on chakra awareness, and easily to follow step by step directions, the book provides an easy way to learn about the advanced practices of hatha yoga. Author Swami Satyananda Saraswati founded the International Yoga Fellowship and the Bihar School of Yoga (which published the first edition). For 20 years he has toured internationally and written over 80 books. The aim of Donna Farhi’s book is to turn yoga into something that just doesn’t exist on the mat, but rather in our everyday lives. Using Patanjali’s Yoga Sutras as a base, Farhi explores how the philosophy of yoga can be used on the path to a deeper self-awareness. Ideal for experienced teachers and newcomers alike, Farhi has an engaging writing style, though you’d expect nothing less from an internationally renowned, bestselling author. If you’re keen to expand on your own knowledge in a more formal, educational sense, we’ve created a new video about our Level 3 Yoga Teacher Training course. You can view it below and we’d love to hear your thoughts.